The sophisticated features provided by cloud-based auto dialers help contact centers to run multiple outbound campaigns efficiently. 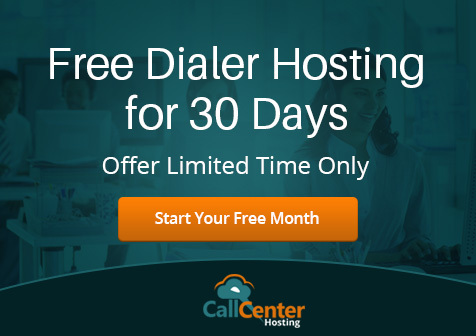 The call centers even have the option to choose from different types of hosted auto dialer software according to the scale and requirements of each marketing campaign. But it is also important for contact centers to explore ways to avoid financial consequence of violating Telephone Consumer Protection Act (TCPA) while running outbound campaigns. The TCPA aims to prevent businesses from making telemarketing calls, sending text messages, and broadcasting pre-recorded messages without obtaining prior express consent of consumers. While planning outbound campaigns, the call centers must explore ways to avoid paying a fine of $16,000 per incident imposed by the TMCA. The call centers need to comply with various provisions of the TCPA while initiating outbound calls by live agents or using automated dialing software. They must keep in place a strategy to prove that all outbound calls are not initiated without violating the provisions of the TCPA. 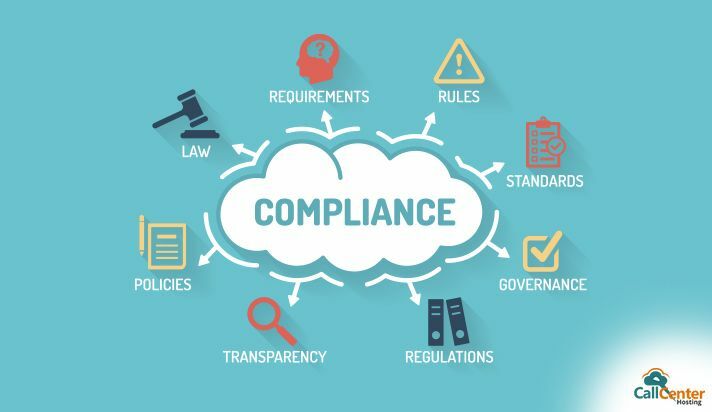 The call center managers also need to implement a number of TCPA-compliance tips and best practices. The TCPA prohibits businesses and marketers from making sales calls or sending promotional text messages to a cell phone number without obtaining the owner’s prior consent. A call center can easily reduce chances of violating TCPA regulations by removing cell phone numbers from the telephone number database. The new age call center solutions are designed with the capability to differentiate between landline and cell phone numbers. The call centers must leverage new age software to detect and remove non-consenting cell phone numbers automatically. The call center managers must remember that the TCPA regulation for landline numbers and cell phone number differ. The TCPA prohibits call centers from making outbound sales calls to a landline number without obtaining owner’s prior consent in writing. But the Act prohibits call centers from sending promotional text messages, initiating auto-dialed calls, or broadcasting pre-recorded promotional messages to cell phone numbers. Hence, the call centers must segregate landline and cell phone numbers according to specific TCPA guidelines. The call centers leverage IVR dialers to carry out telemarketing activities without deploying additional live agents. But the TCPA has imposed stringent restrictions on delivering pre-recorded message to consumers. The Act prohibits businesses and marketers from delivering pre-recorded voice messages without conveying the name of the business or client. The message further needs to convey the name of the organization or person at the beginning of the calls. The call center managers must adhere to the TCPA regulations while recording promotional messages. Also, they need to review the campaign messages at regular intervals to ensure that no TCPA regulation is violated. The auto dialer software helps call centers to manage large-scale marketing campaigns by making agents handle only answered calls. But the auto dialers cannot review and scrutinize the contact list as efficiently as live agents. Hence, the call centers need to integrate manual and automated dialing to prevent TCPA regulation violation. They must provide agents with preview dialers to decide about initiating or rejecting an outbound call. The preview dialers will help agents to adhere to TCPA regulation by accessing updated customer information before initiating placing an outgoing sales call. While defending TCPA litigation, call centers need to prove that the outbound call is made without violating TCPA provisions. The call centers can defend TCPA violation claims efficiently when they record the outbound calls and store the recorded calls on permanent basis. The cloud-hosted auto dialers help call centers to record outbound calls without putting extra time and effort. They even support both call recording and live monitoring. The managers can use the recorded calls to assess call quality and fight TCPA law suits. Often consumers, who do not want to receive unwanted marketing calls or messages, register their telephone numbers on the Do Not Disturb (DND) registry. The call centers need to ensure that no outbound call is made to a consumer who has activated DND. While comparing outbound dialing solutions, the managers must check if the auto dialer supports DND filtering. The DND filtering feature will ensure that the auto dialer do not initiate outbound calls to customers who have opted not to receive any marketing calls or messages. The TCPA requires managers to obtain written and express consent of consumers before initiating automated marketing calls. Hence, no call center can run outbound campaigns efficiently without focusing on obtaining consumer consent. They need to keep in place a strategy to make consumer sign agreements authorizing to carry out telemarketing activities. However, the managers must remember that consumer consent differs for marketing and non-marketing calls. They can initiate outbound calls for reminding payment or collect dues without obtaining prior consent. But they cannot make automated marketing calls or send promotional SMS without obtaining consumer consent in advance. The TCPA aims to ensure that no consumer receives unwanted sales calls. The call centers need to comply with all provisions of the TCPA while initiating outbound calls using live agents and automated dialing software. The cloud-hosted auto dialers help call centers to remain TCPA-compliant by providing sophisticated features like call recording, DND number detection, and CRM integration. But the call center managers must remember that remaining TCPA compliant is an ongoing process. How to Reduce Abandoned Calls in Call Centers?